The fact that the FMCG industry has a long history of generating reliable growth through mass brands is not unknown. But the model that fuelled industry success now faces great pressure as consumer behaviors shift and the channel landscape changes. To win in the coming decades, FMCGs need to reduce their reliance on mass brands and offline mass channels and embrace an agile operating model focused on brand relevance rather than synergies. 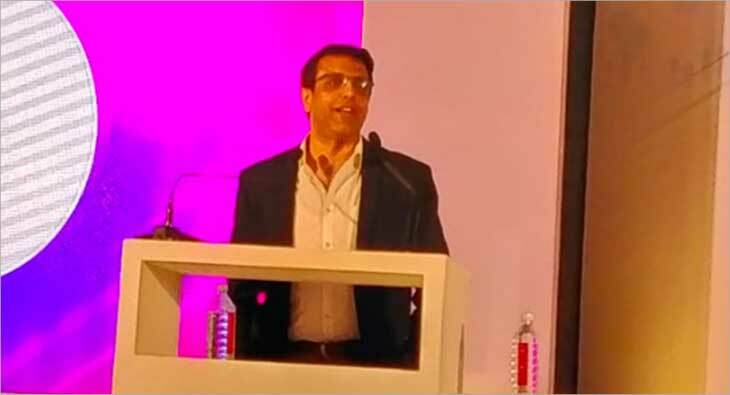 At the unveiling of the Pitch Madison Advertising Report (PMAR), Sunil Kataria, CEO - India and SAARC, Godrej Consumer Products Limited discussed the need to re-write the rules of the game in the FMCG category. Kataria noted that it is indeed the need of the hour to unlearn the traditional tricks to adapt to the rapidly-transforming business ecosystem. “FMCG has always been about excellent mass-market brand building.” He said, pinpointing the mass-targeting, mass scale innovation, and renovation that goes in it. He advised that it has to change to relentless execution of the multi-layered brand-building by tweaking it, adopting a selective mass-market approach with the mass TG, micro-target profiling basis preferences, shopper behavior and identifying niche brand-building levers for this TG. Kataria went on to elaborate on the industry’s potentiality to leverage the scale and efficiency of mass media- optimising reach and frequency. “It is about time to move from efficiency to effectiveness in the fragmented media space,” he advised and emphasised that it could be done with optimisation of mass media to create threshold awareness, effective use of vernacular mass media to enhance engagement and the room for experimentation and expertise in digital and mobile. “The power lies with the brand and this is what FMCG is doing brilliantly,” Kataria remarked and spoke about directed consumer behavior. “Every FMCG company would have a consumer care telephone line number. But ask the question that how many calls actually come on it and you'll know the truth,” he said. “Consumers are buying by what others are telling them,” he said signalling the shift from consumers listening to brands to them paying close attention to what others on digital and other mediums are telling them. The key Kataria pointed out “lies in enabling an informed engaged consumer behavior" by creating authentic advocates and influencers, a continuous understanding of the accelerated consumer journey and establishing brand differentiation with a purpose. He continued, “FMCG marketers, I believe, are the most spoilt lot because we tend to outsource everything. From the creative brief, communication, media briefs to even the measurement. This model has created partners who are specialists in outsourcing.” Kataria suggests that this can be worked on if brands own it, mine it and stay on the top of the data edge with micro analytics within syndicated sources, first-hand consumer understanding using online/offline immersions and building content expertise. Another aspect he spoke about was the hard-earned entry barriers of brand equity and distribution in the FMCG category. Talking on the growth of the non-mainstream and vernacular, Kataria contended, “There's the emergence of local heroes and that's a challenge for us.” He recommended the importance of meaningful micro opportunities, the right structure, local empowerment to win these local battles and ensure local relevance to make it tick.